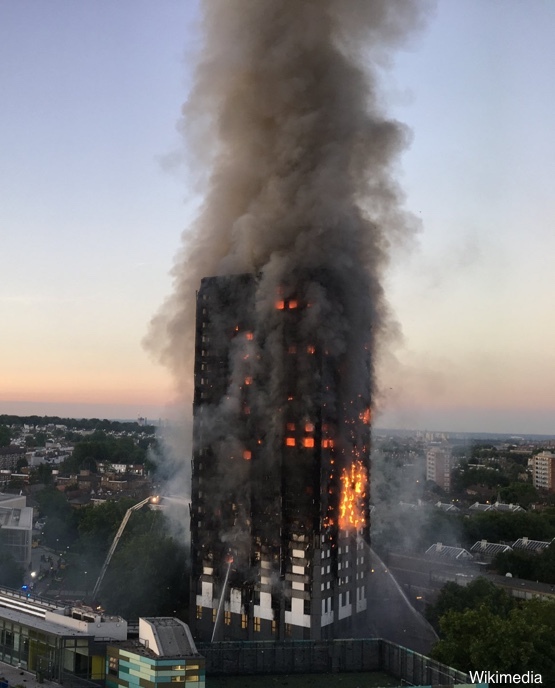 The Hubb was started by women displaced following the deadly Grenfell Tower fire in 2017, which killed 72 people. You may remember that when visiting Chester in June, the Duchess and HM observed a moment of silence marking the one-year anniversary of the fire. The Al-Manaar Muslim Cultural Heritage Centre located near Grenfell Tower became a centralized gathering place after the fire. 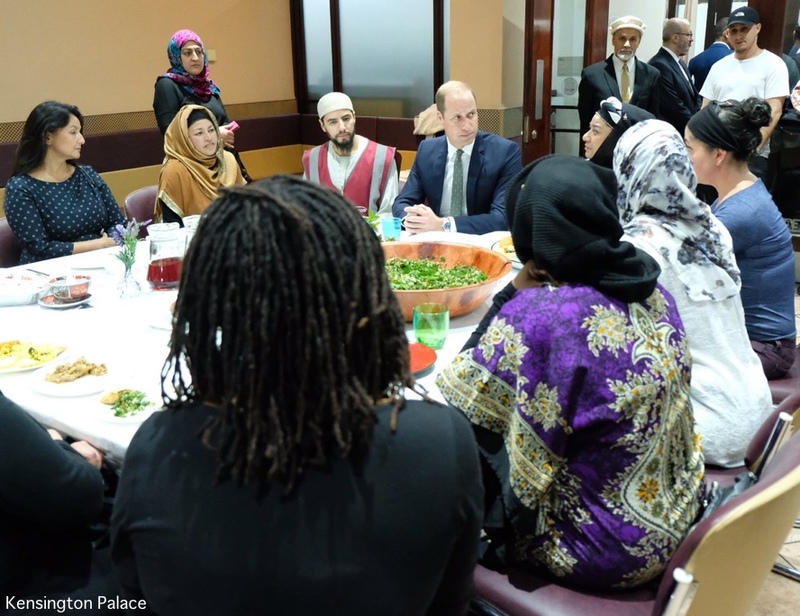 The Queen visited the mosque shortly after the deadly blaze, as did Prince William. Prince Harry also went to the centre. … some of the local women needed a place to cook fresh food for their families. 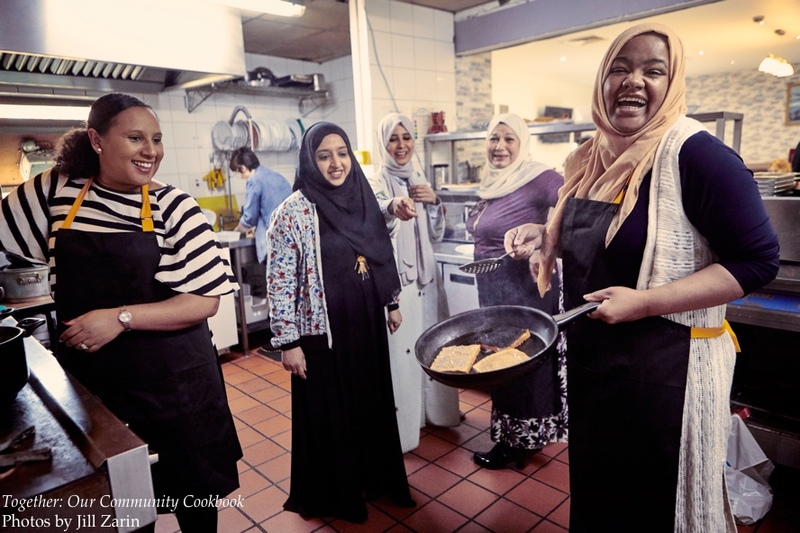 They began to use the kitchen at the Al-Manaar Muslim Cultural Heritage Centre, where the women who worked there had been using the facilities to cook for the community. 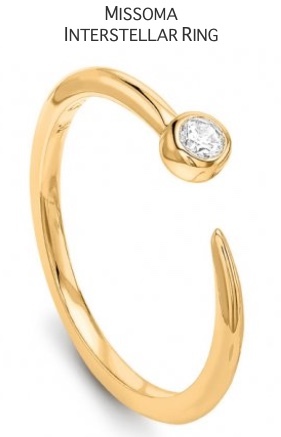 In Arabic “hubb” means love; Meghan’s involvement with the Hubb goes back to January. That is when she started making private visits to the Centre. 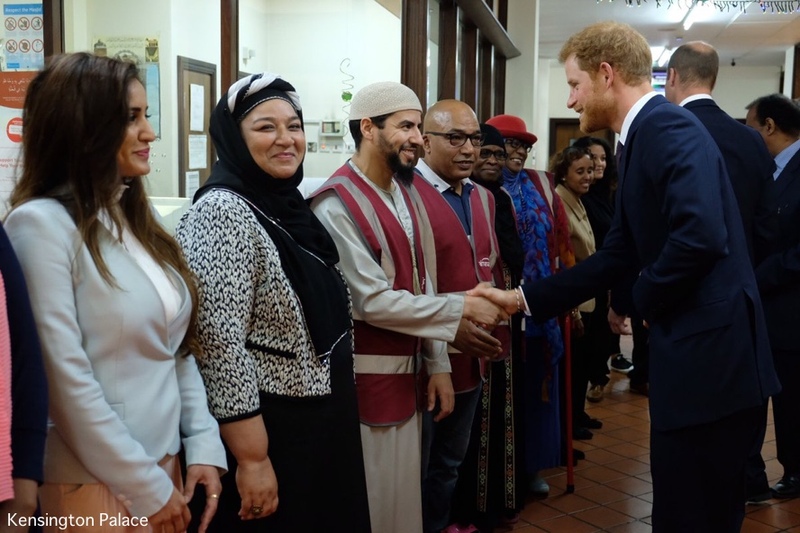 Munira Mahmud, 34, who started using the kitchen after being placed in a hotel after the fire, writes: “One day the Duchess of Sussex came to see us. She came into the kitchen, very relaxed, very friendly, down to earth. She wore an apron. According to the palace, Meghan continues to make regular visits to the Hubb. Meghan’s thoughts on the kitchen. 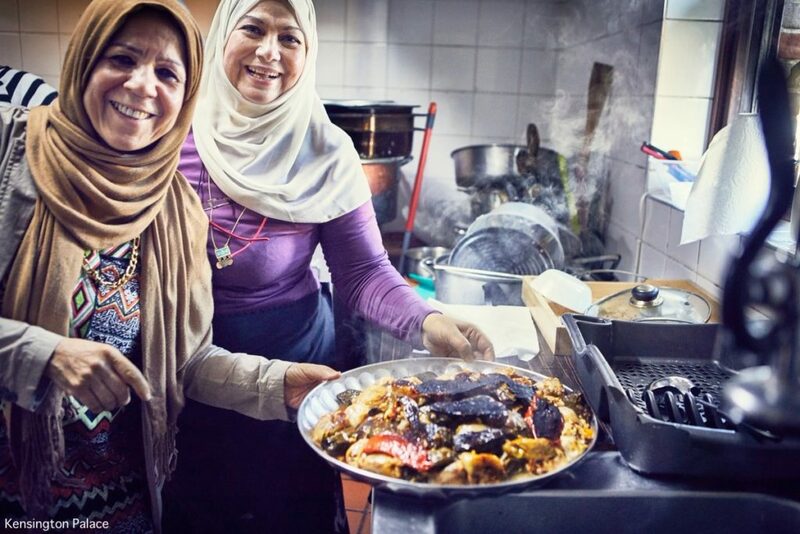 The recipes include dishes from the eastern Mediterranean, north Africa, the Middle East, and Europe, many of them passed on generation to generation. They were selected to be accessible: easy to make, without lengthy lists of ingredients. Among them: Green Chilli and Avocado Dip, Coconut Chicken Curry, Aubergine Masala, Persian Chicken with Barberry Rice, Caramelised Plum Upside-Down Cake, Spiced Mint Tea and lots more. 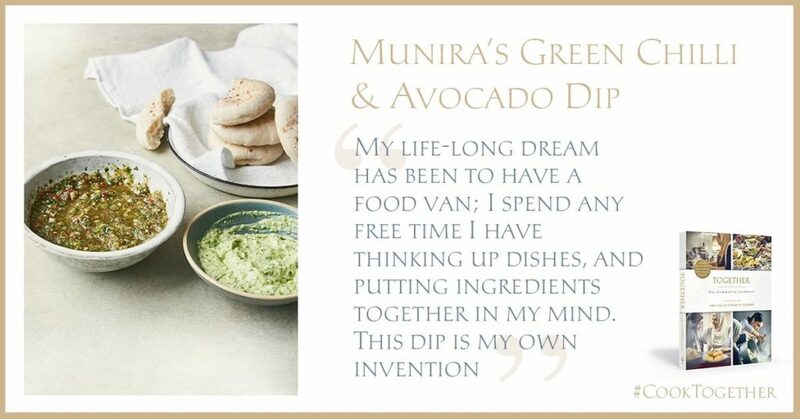 If you would like to try some of the recipes, the book’s publisher, Penguin UK, has shared some of them on the company’s blog. A glance at the cookbook via the publisher. A look at one of the chapters, with thanks to ABC’s Carolyn Durand on Twitter. 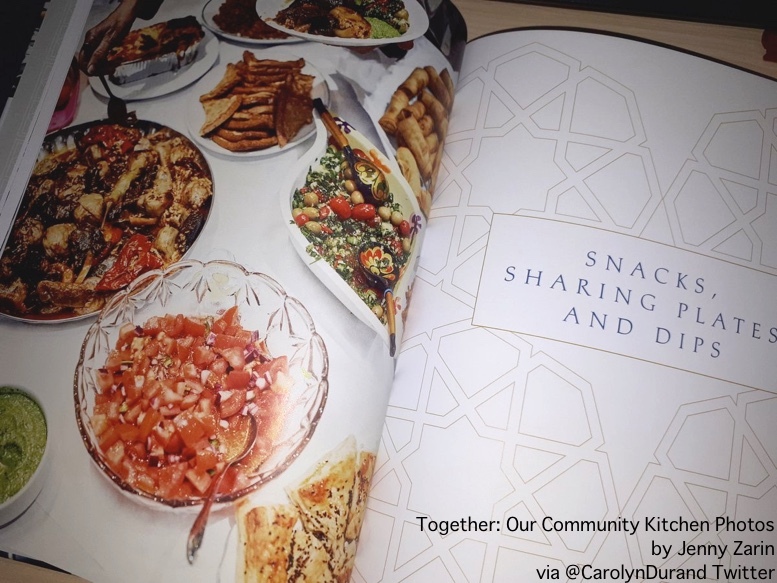 We hope Together will inspire you to cook the delicious recipes that fill each page of this book for your family, friends and community. We hope that other communities facing difficulties can experience the healing power of sharing food by setting up their own community kitchens. Currently the kitchen is open two days a week. It is hoped enough money will be raised through the book sales to keep it open up to seven days a week. The Royal Foundation posted goals for the project. Reaction to the book from Micki Maynard’s Forbes story. 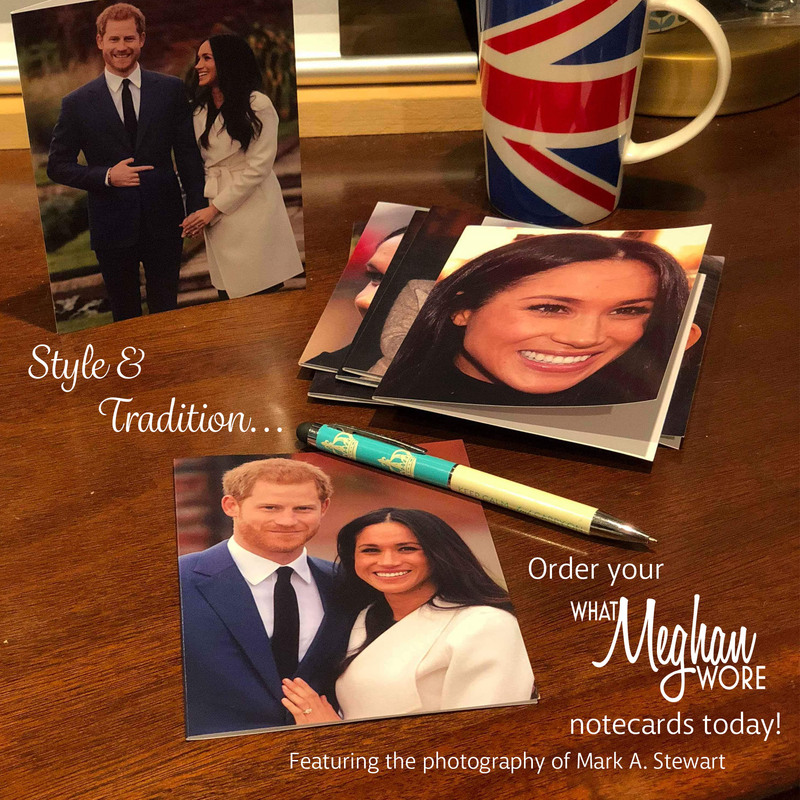 Unlike some charity efforts, in which a royal simply writes an introduction or poses for a photo opp, Markle appears to have been the driving force behind the cookbook. 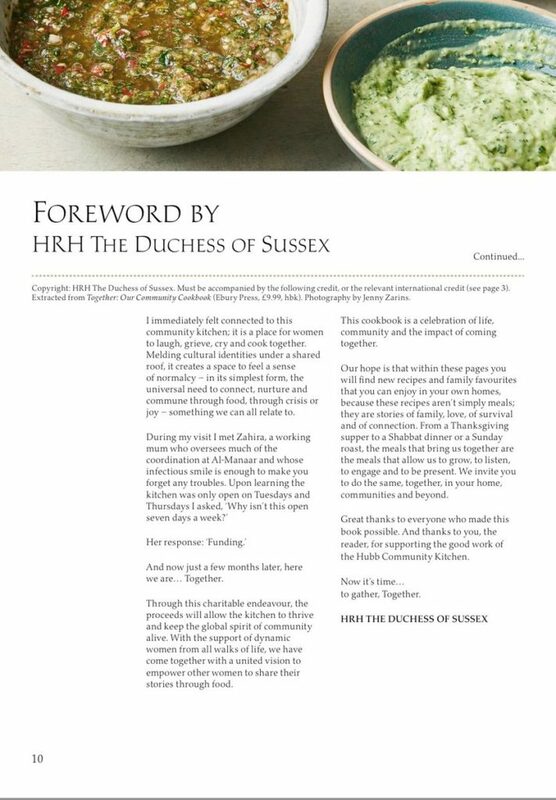 Now, with the cookbook, Markle has given a hint of what could capture her interest as she conducts her own charity work. 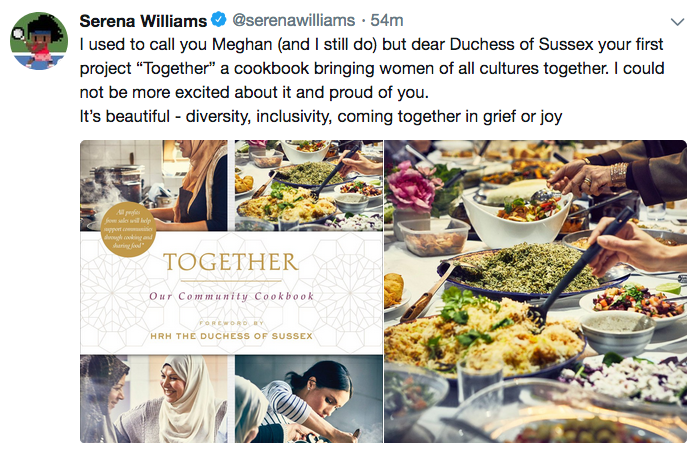 Not long after this morning’s announcement about the project Meghan’s friend Serena Williams tweeted her congratulations. And friend Jessica Mulroney posted her thoughts on Instagram. 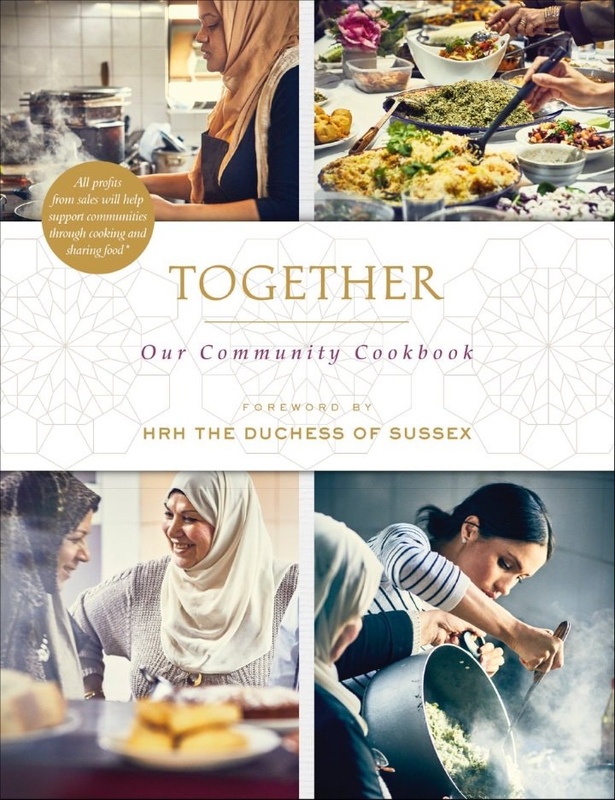 Kensington Palace has created a hashtag, #CookTogether, in hopes people will share stories of the way cooking with others or sharing recipes, has enhanced their lives. The book is available in the US at Amazon ($16.99) and at Waterstones in the UK (£9.99). Response to news about the book has been very positive. As of 1:30pm it is the #1 seller in the Amazon UK Food and Drink book category. 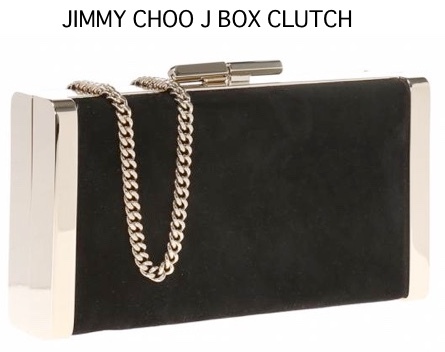 Thank you to reporter Omid Scobie for his tip on the this. 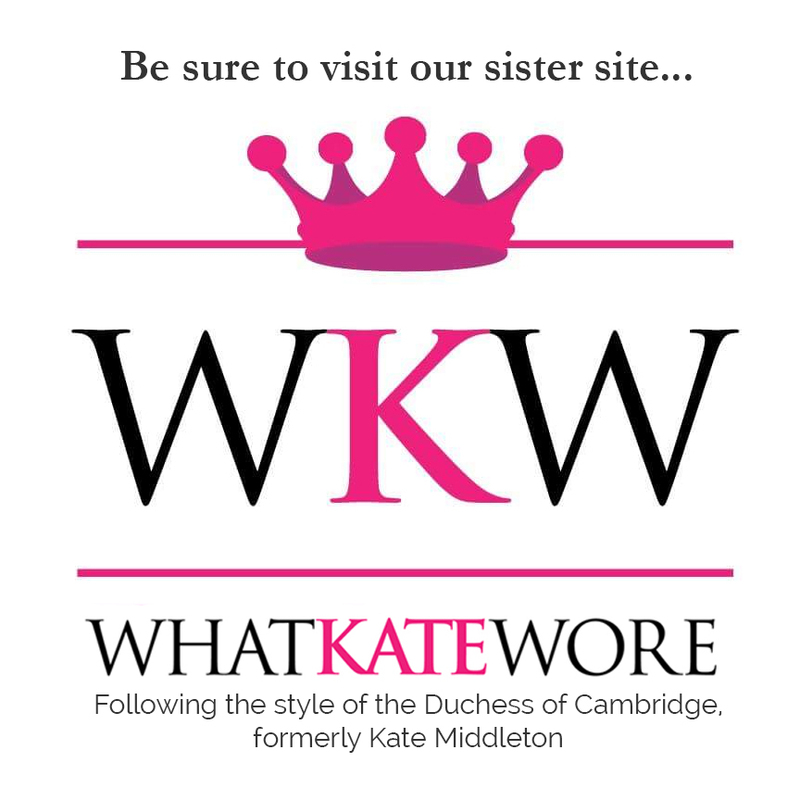 This Thursday there is a Kensington Palace party celebrating the book’s launch. We’ll have coverage of that event here on the site. 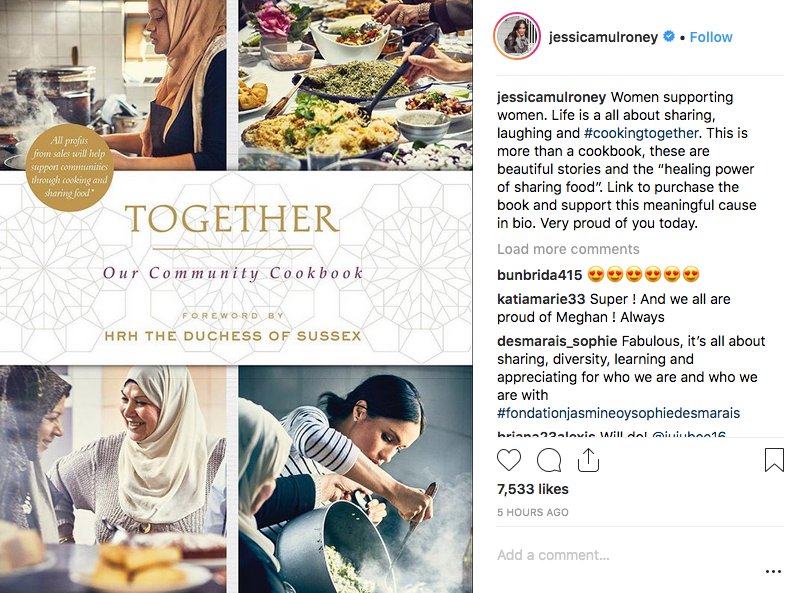 This is a terrific project for Meghan; my guess is the cookbook sales will easily surpass the initial goal of 50,000 sales. A 3-minute video with Meghan speaking about the project was also released today. 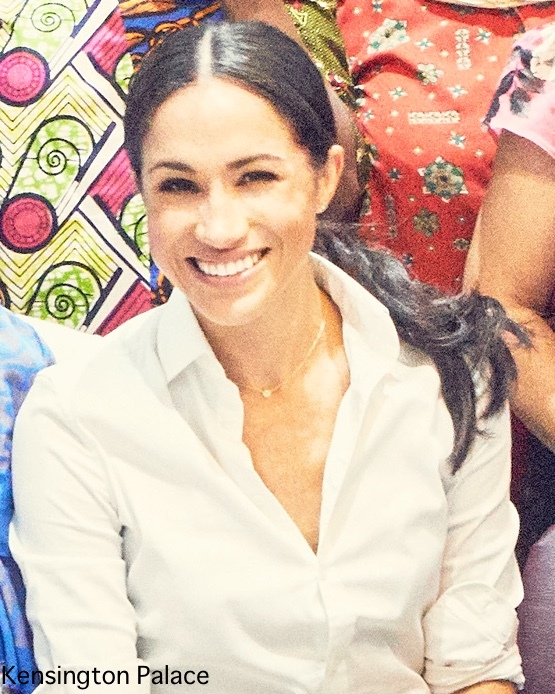 As far as what Meghan is wearing in the photos and video, it is an unidentified white shirt and the Vanessa Tungendhaft necklace first noted at the Invictus Games tryouts in June. Also today, word about an upcoming documentary that includes the Duke and Duchess of Sussex. Part one of “Queen of the World” debuts on ITV next Tuesday. More from ITV’s news release. 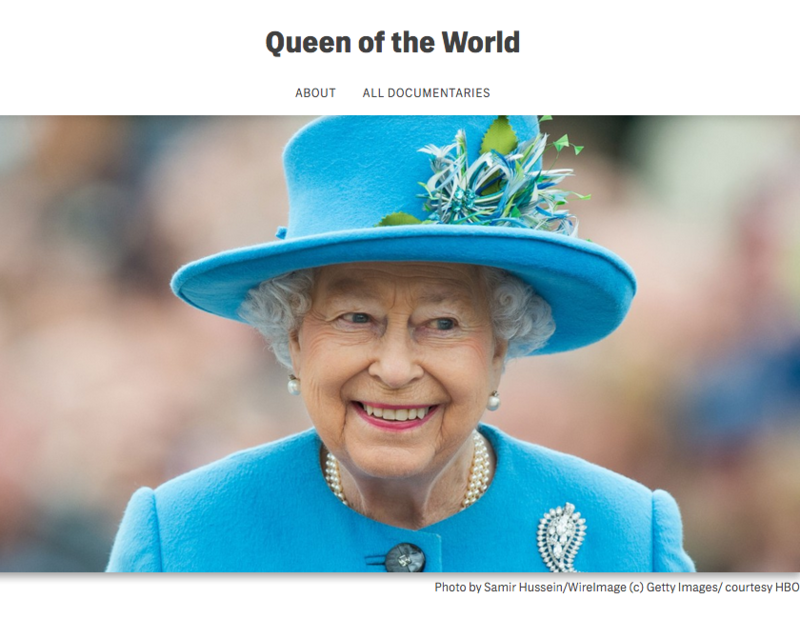 Filmed over more than a year with privileged access to The Queen, her family, her staff and her residences, this landmark series tells the story of how the Commonwealth has been a central focus and passion throughout Her Majesty’s life. More on the content involving Meghan from Yahoo UK royal correspondent Danielle Stacy. In the US, the program will air on HBO. The first run is Monday October 1, followed by multiple repeat showings. 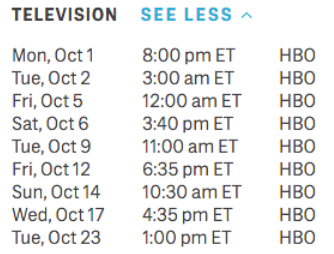 Below, a schedule of the other HBO air dates and times. In Australia, Seven has the rights (and perhaps NZ as well), but they haven’t released an air date. My guess is they’re waiting to run it closer to the tour. Visit the Royal Foundation page about the project by clicking here; read the Kensington Palace news release here. I believe she is wearing the Maison Kitsune Shirt in the first picture. The neckline looks similar. 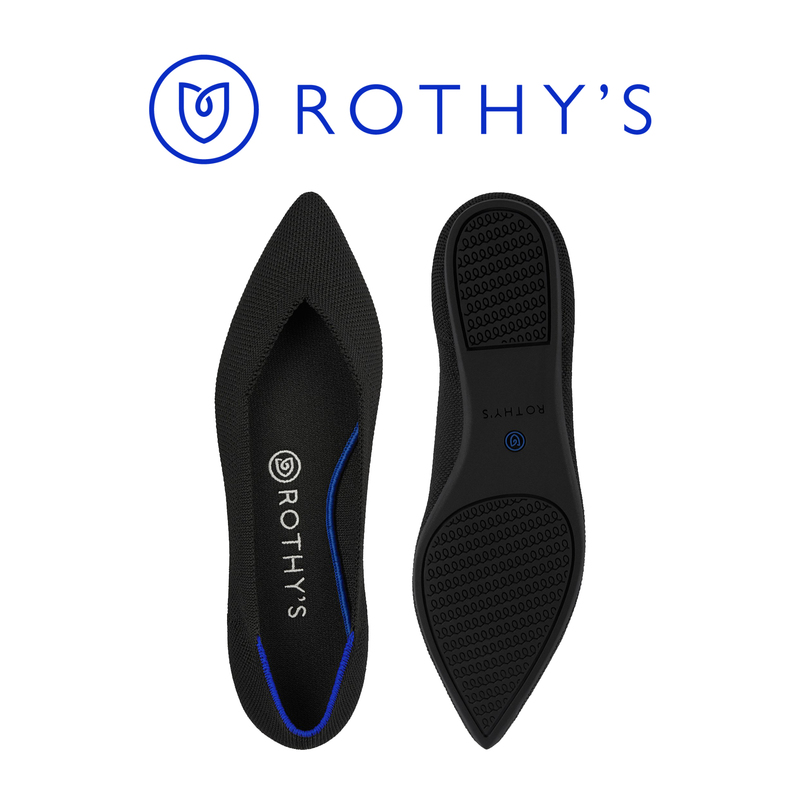 What a great cause for Meghan to support. It makes sense for her to become involved with these women of historically marginalized communities, immigrants from lower income backgrounds given her previous work with Wold Vision. And also on par with her interests of empowering women and just so great for her to be a voice for them after they survived such a horrific tragedy. I kind of want to buy this cookbook given that I struggle so much at coming up with recipes as a lazy cook! Does anyone know if the book is a limited run or if it will still be available around Christmas? I want to ask for it as a Christmas present, but not if it’s only going to be printed for a limited amount of time. Thanks! What a wonderful initiative for Meghan to support. 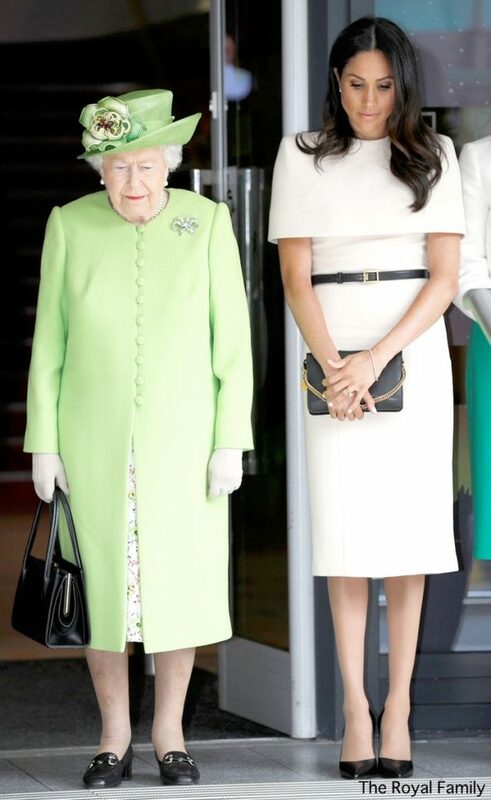 As a woman of color, it is clear Meghan feels at home with these women and sees a need to support them. They are mostly immigrants from many different countries and many are Muslim, a religion that is often marginalized in Western countries. I am so proud that she went out and did this and only announced it once the cookbook was put together, showing us tangible results of this cause she is involved in. If she came up with the idea herself (to sell a cookbook of these women’s recipes to get the funding to keep the community kitchen open 7 days a week) it’s a genius idea. 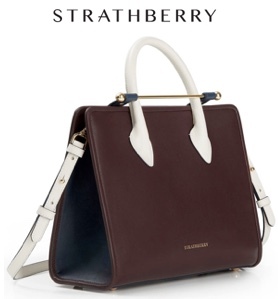 I really want to buy it. As a struggling cook, I am always looking for inspiration and I bet a lot of these recipes are simple and easy. Any word on if the recipes will have American-style measurements or European? I’m so excited about this project and have just gone and pre-ordered the book on Amazon. 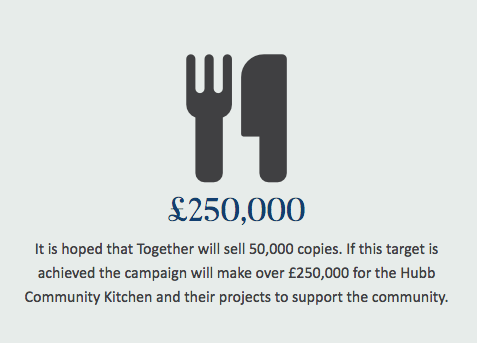 What a perfect project for Meghan, combining food, community and fundraising. 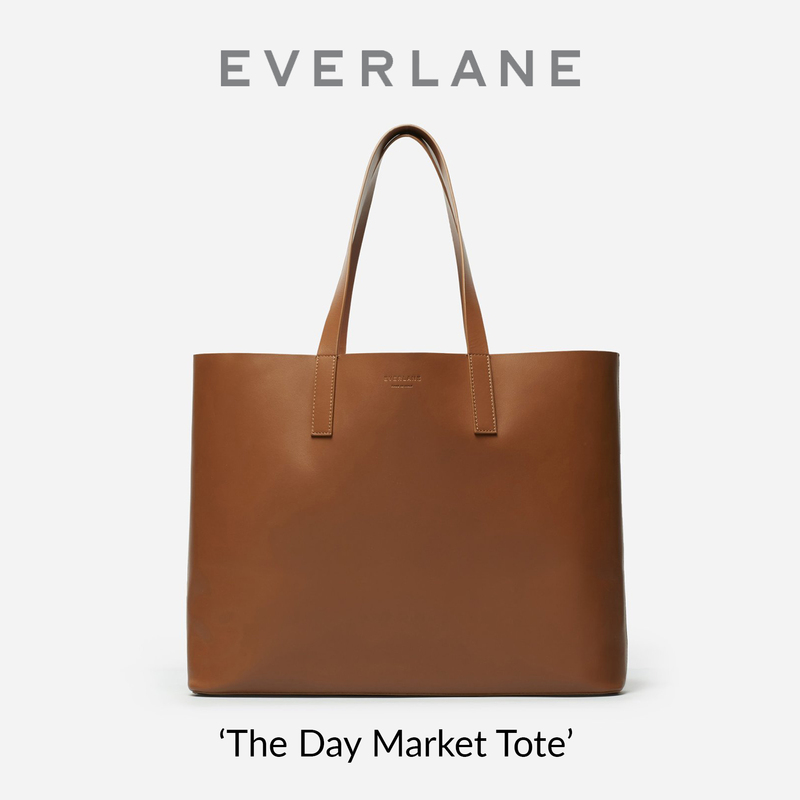 You can see her savvy use of social media and other marketing too: I’m sure it’s no accident that her high profile friends, who have a different kind of influence and followers, are helping spread the word – the ripple effect. This is proof – if anyone needed it – that Meghan is going to be a huge force for good in her new role. Brava! 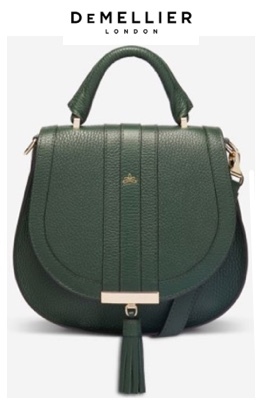 What a lovely Monday morning treat to learn of Meghan’s new project. I put an order in for the book straightaway, I can’t wait to try out some of these recipes. Meghan writes so well and brings the project mission to life in her introduction – she’s a real pro and her acting skills come to the fore in the video voice-over. The excellent Gert’s Royals on Twitter pointed out what a natural fit the project is for Meghan after her experiences volunteering for community kitchens in both LA and Toronto. She certainly looks right at home among the pots and pans here. That’s fun that we can make out the pretty necklace she’s wearing again, it’s one that bears plenty of repeats. 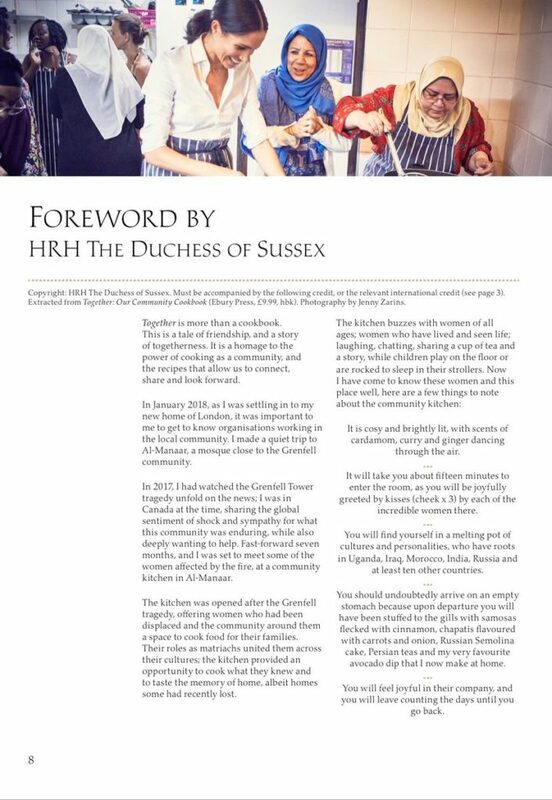 I think the Breton stripes she has on in the cover picture are becoming a royal signature, although Meghan of course was wearing them before she came into the royal orbit. This was a fantastic idea and I’m glad that the palace was open to this new and unique idea. I’m excited to see what other project she’s gonna come up with in the future! So commendable, it’s so inspiring loved meghan’s gesture. I followed the grenfell disaster and cried and prayed for those families it’s so great to see them connecting in such a happy way. Thank you duchess! Good for her. I really think this is the best of what the Royals do (speaking as an American) — not only the direct charity work, but the example for all to see. What a brilliant idea from Meghan! Aside from the book supporting a lovely cause, the recipes are tried and true. Must get the book and make them. What a wonderful project for Meghan. It’s clear she connected with the women and the idea of the Hubb Community Kitchen. 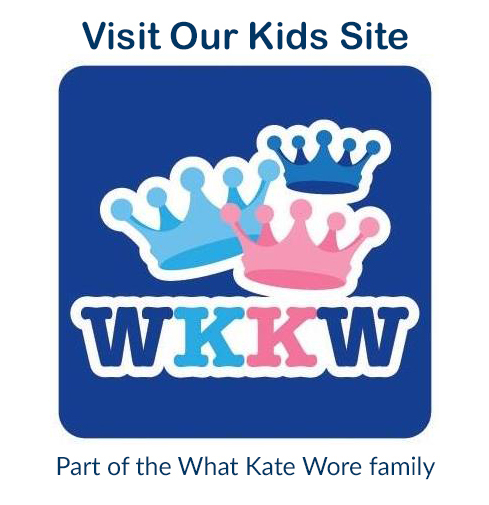 This is a really good example of a royal using their role in a very concrete way. I’m excited to get the cookbook and try some of these recipes! Update… When I checked Amazon earlier the cookbooks were “not available” but Amazon is now taking pre-orders! Within hours it was reported the book had topped the Food and Drink chart and was at third best seller for the whole UK. I think they’re on the way to hitting the target to keep the kitchen open! ELIZAMO – Yes, it will be fun to follow the success of the book and exciting to see what’s in store for the Hub women! 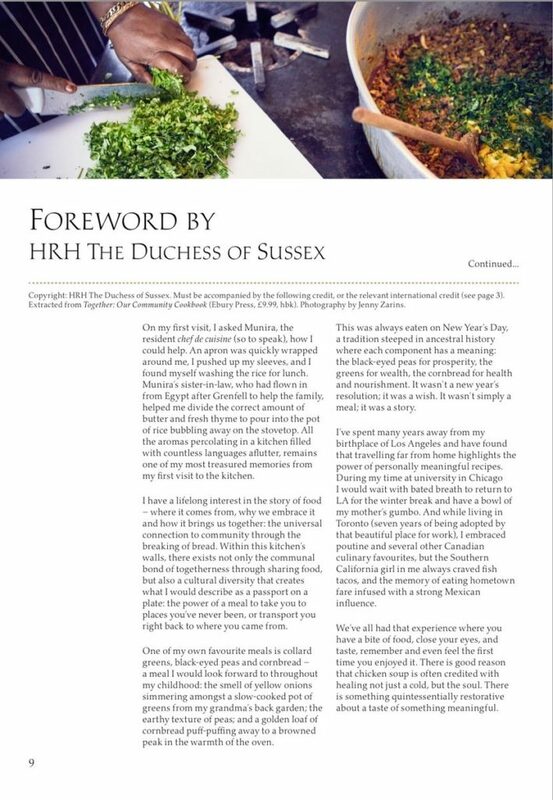 While Meghan’s involvement will naturally boost sales of the book she, and the community kitchen, have ultimately provided a model that can be replicated anywhere in the world. Love this project, love the collaboration, love that she is using her passion and position to connect and uplift other women. Also….I love the ponytail! What a great story about how this came about. I so admire her for seeing a need and using her position to address it in an immediate, material way. It’s very bold of her (in the best way) to initiate a project of this scale so early in her official life as a royal; I’m very impressed. She is the real deal. Congratulations, Meghan, for making this project happen! Your friendship and support of the women at the Hubb Community Kitchen is beautiful and I hope due to your efforts, along with those of the Hubb Community, the cookbook will be tremendously successful. I believe Amazon, in the US, has already sold out! BTW, Jill Zarin’s photography makes me feel like I’m in the kitchen with you all and the food looks amazing…what colors! All the best to you and the women at Hubb. Okay I have so many things to say, but I want to be clear. Firstly I think this is the true Duchess Meghan. The Meghan who cares deeply enough about people to do something. This connection she , I believe, shares with Prince Harry. What a wonderful project and both the words and the video comes across as being very natural. I like that this is not a come dressed up take your picture moment, even though I enjoy those moments too. Thank you so much for the Queen of the World information. I had heard some information on it, but you are the first to actually give dates, station and times of airing. 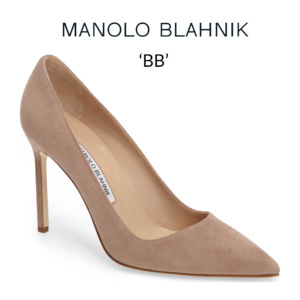 To say that I am excited about both these projects that envolve The Duchess is putting it mildly. which is why I enthusiastically brought my “Together” cookbook and can’t wait to start trying the recipes. Lastly this is the first time I have seen the Duchess with her hair in a ponytail and I thing it looks great. I like that it had some curl and lift to it. She looked very happy and relaxed in these picture. Congratulations to the Duchess on this project and much success and health to the people of that community.